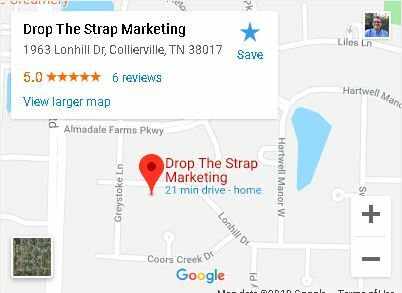 Drop The Strap Marketing is growing, check out the digital marketing jobs and roles below. This job board is a place to find opportunities to work on our current and future projects. Positions listed here are for a Marketing Agency Memphis Based, our Collierville TN location and Remote jobs. If you have a specific skill set and would like to be considered for projects in the future, send an email to scott (a) CreatingValueLLC (DOT) com with the subject line “DTS – skills to offer”. Keep this email to 5 sentences and provide whatever links might display your skill sets. Under the formal Job listings, see a more casual job listing written by our founder. * ProTip: a under three minute YouTube video is a great way to introduce yourself and start a conversation. The Managing Editor will be responsible for the coordination of all digital and print content produced by the content team. The right candidate will have experience in cross channel content marketing and content optimization including text, audio, video and image content, social media marketing, and search marketing. The Managing Editor is a creative marketing mind with the ability to organize projects, meet deadlines, and manage a team. How many of the below sound good to you? Creation of standard operating procedures (SOPs) for the planning, execution, optimization, distribution, and amplification of the organization’s content. Overseeing the scheduling, publication, and overall consistency of Drop The Strap Marketing’s content assets. Leading and directing the work of content produced by content team members including text, images, audio, and video, making sure all team members are on-task and meeting deadlines. Creating copy, engaging headlines and subheads, proof reading, and deep-line editing for spelling, grammar, and brand consistency. Creating content that is optimized for search and social media traffic. Locating and/or initiating creation of engaging and relevant images to complement stories. Content Marketing – Demonstrated experience with successful management and execution of a content marketing strategy. Leadership – Successful experience leading a team in a project driven environment. Social Media Marketing – Proven experience using social media channels to distribute and amplify the organization’s content, manage reputation, develop relationships, and drive website traffic. Editing – Proven editorial skills including strong language skills and the ability to adjust content to remain consistent with brand, style, and tone. Not a requirement, but I use Google Drive a lot. Are you comfortable in Google Sheets, Google Docs, Google Hangouts? In short, I provide digital marketing services. My client base is growing to a level that I need help. I’m looking for people to take on my monthly ongoing task and help me increase the visibility of my top of sales funnel content. I(Scott Finney) create over the shoulder YouTube videos to educate and turn prospects into paying clients. I need to focus more of my time on video creation, but make sure the content is being distributed online across my social media accounts. Managing Editor – Oversees design and content, managing a group of writers, freelancers, and researchers. Reviews all assignments before publication to assure accuracy and brand alignment. Leads and directs the work of writers, freelancers, and other content-producers. What I really need is a team member that wants to be an active participant in the brainstorming and decision making process. It could be as little as listen to an idea and tell me if you understood what I’m talking about. I’m all for compensating this future team member for ideas and actions that directly increase the company’s customer base and monthly recurring revenue. We can talk through that at any time.